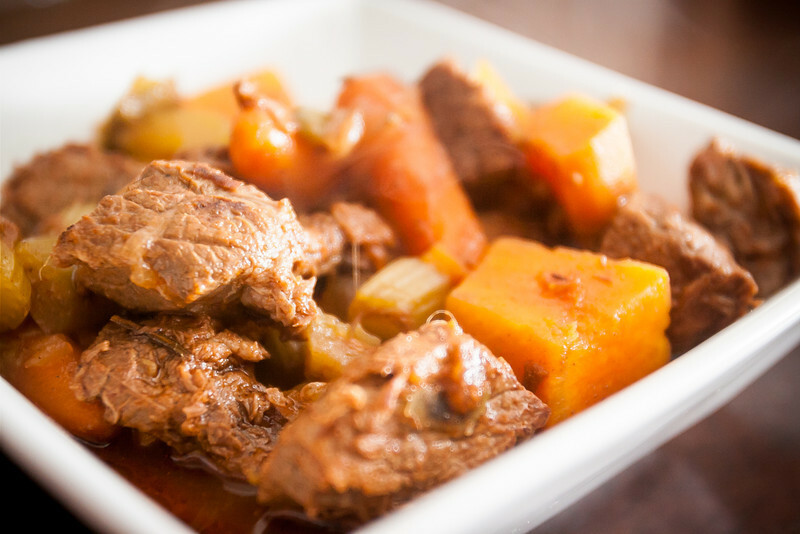 This is a delicious recipe that I found in the "Well Fed - Paleo Recipes for People Who Love to Eat" cookbook. 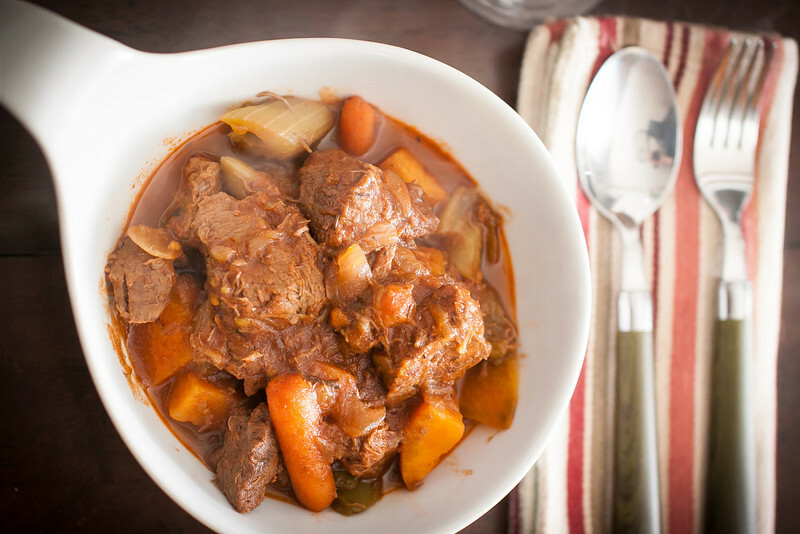 I've made a few modifications for my taste, but the basics are just like any beef stew. 3 pounds of Stew Meat cut into 1 inch cubes. 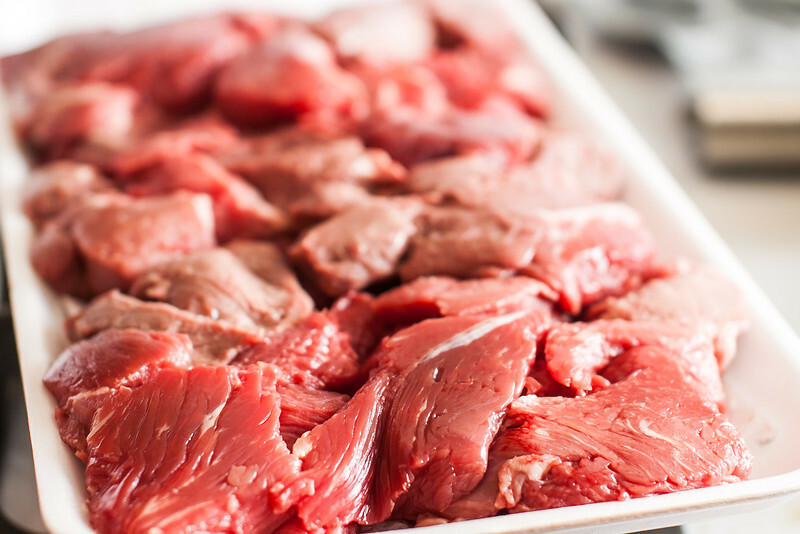 Season your beef cubes with salt and pepper. I try to use grass fed beef whenever I can. Beef stew meat is usually cheaper anyway, so for this, I always pay for the good stuff. 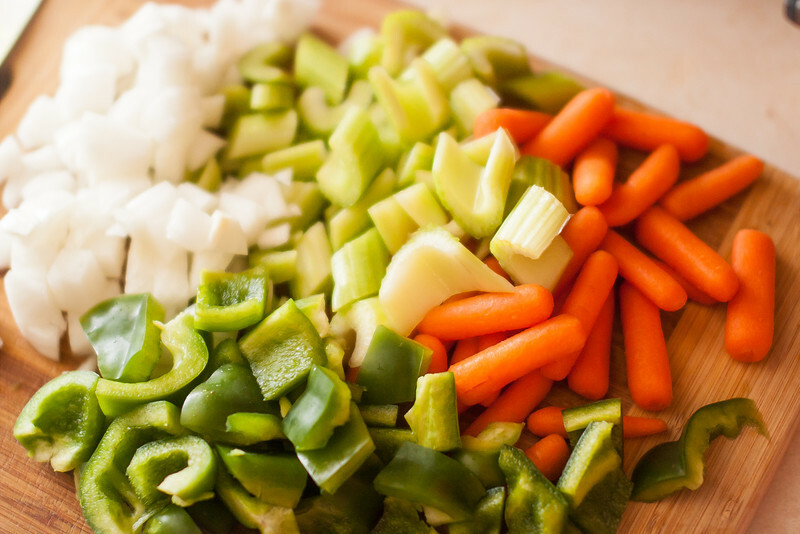 Gather your veggies while you heat up a large skillet. I try to multitask as much as possible, which was particularly challenging while I was also taking photos. 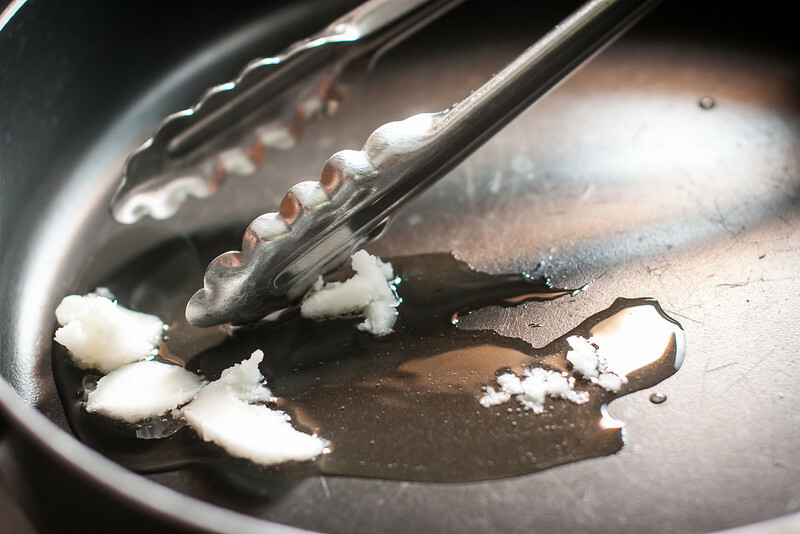 Once your skillet is warm, add a good tablespoon or two of coconut oil and let it melt to coat the pan. 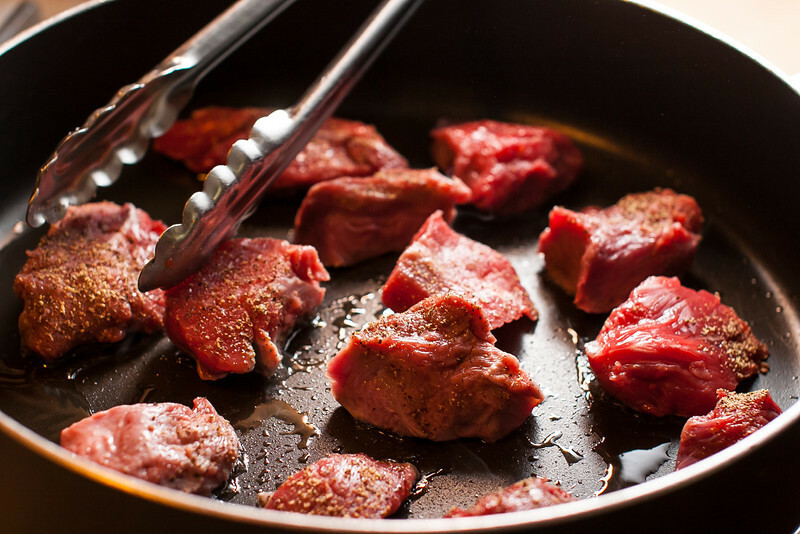 Don't put your beef into the pan until the pan is sufficiently hot. 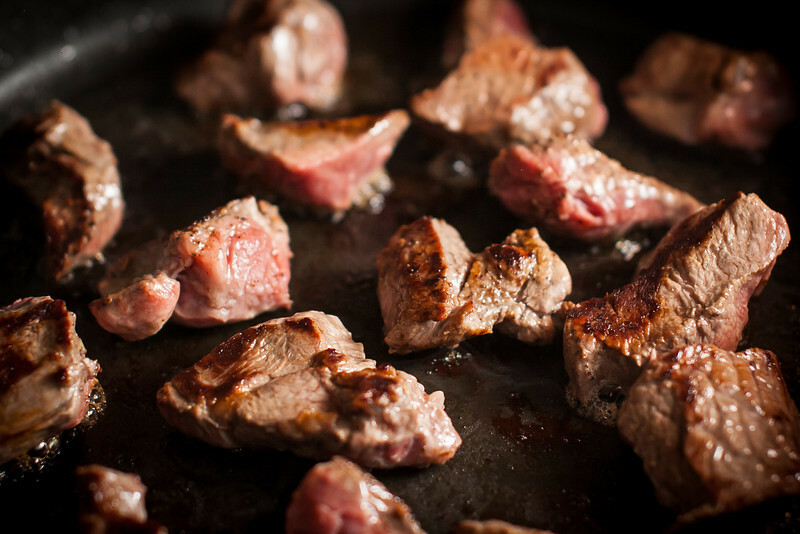 Put your meat in the skillet, and sear it on both sides. If your meat didn't sizzle when you put it in, the pan was not hot enough! Make sure to leave room between the pieces of meat. Do not overcrowd your pan. This may take you 3 or 4 rounds to finish the meat. And don't touch the meat until a couple mins after you think you should. Let it develop a beautiful, brown crust on the bottom before you flip them all over. As much as I hate a messy kitchen, I have to accept that there will be some splatter on my stove when I make this recipe. The pan has to be hot to get that good sear on the meat, which means the oil and juices coming out of the meat are going to make a little mess. 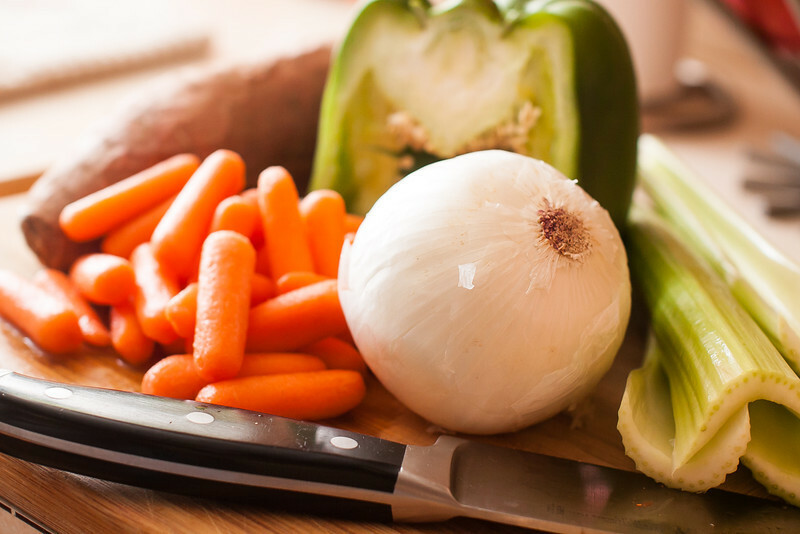 While your meat is searing, chop up all of your veggies, except for the sweet potato. The original recipe recommends that you "finely chop" your carrots, celery, and onion. 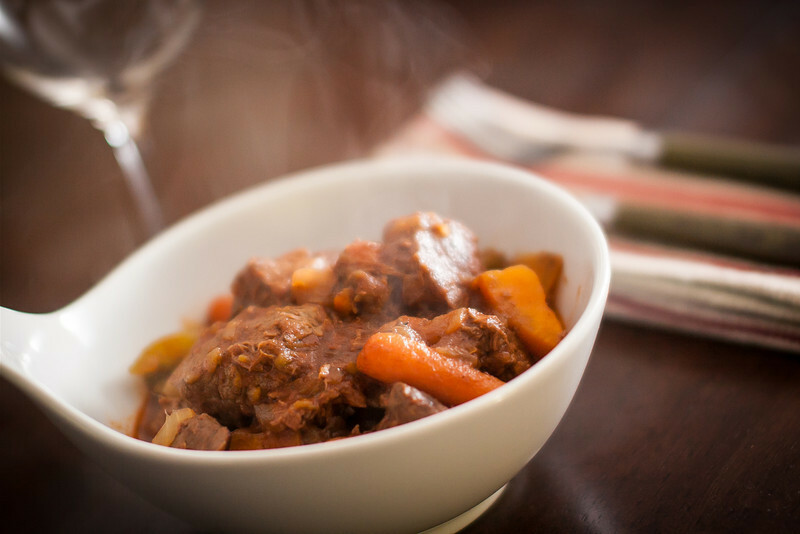 Personally, I like a chunky stew. I use this step as a reason to step away from the meat and let it sear. Otherwise, I stare at the meat and start flipping them too early. 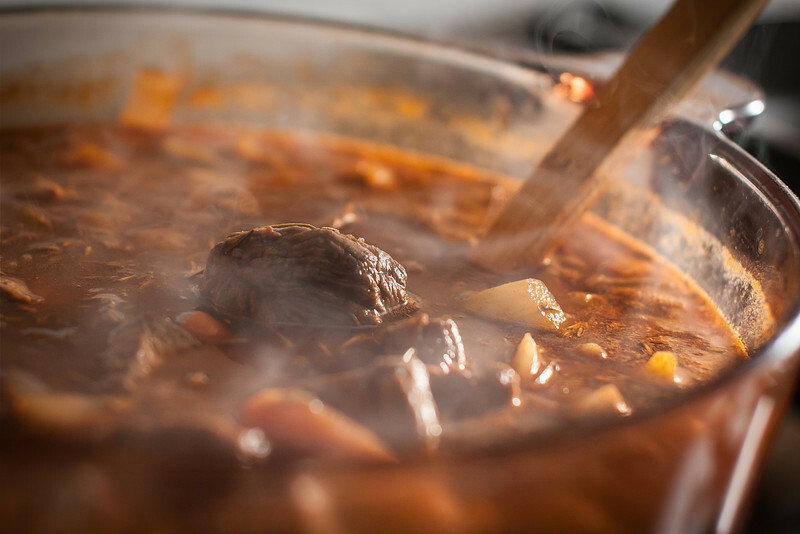 As your meat is finished searing, place the pieces into a large pot, and add half of the can of beef broth and let simmer while you finish your other rounds of meat searing. 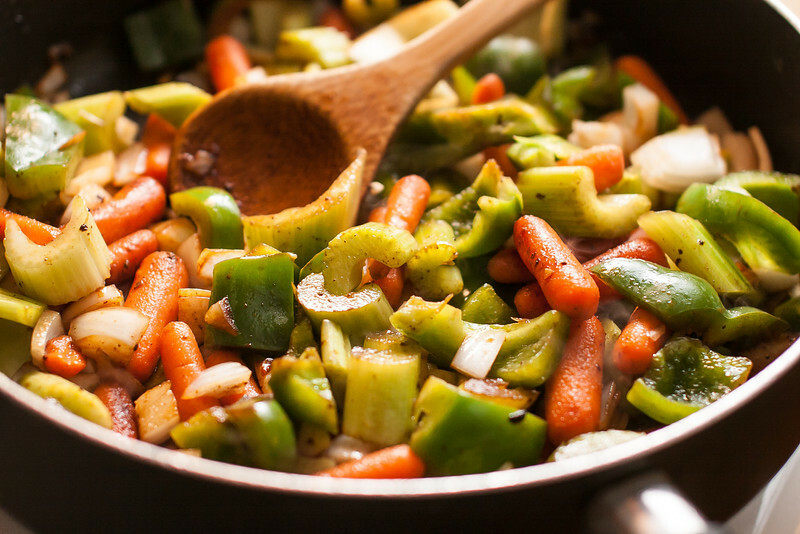 In the same skillet, place all of your chopped vegetables (no sweet potato yet!). 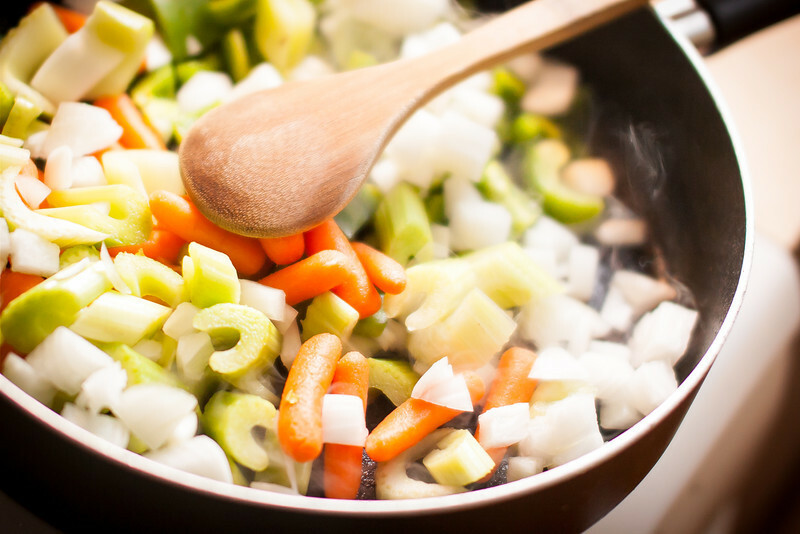 Stir your vegetables around and let them sweat a little bit. 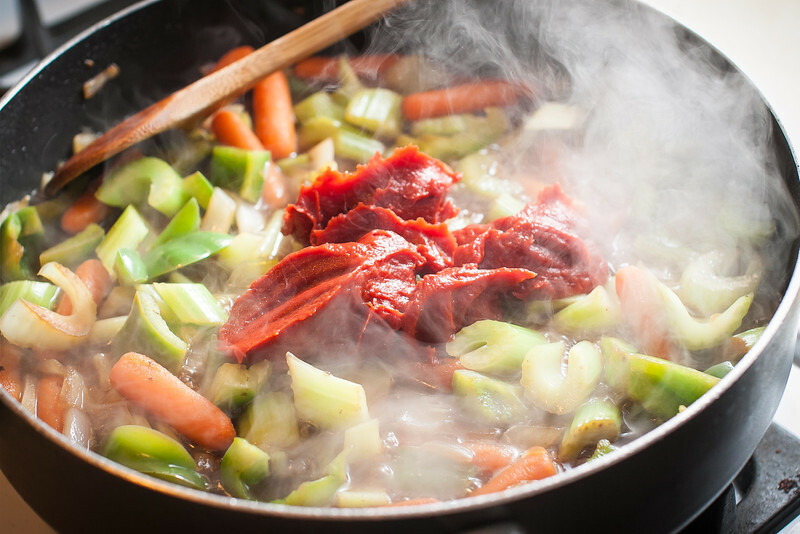 After your veggies have worked up a good sweat, add the tomato paste and stir well. 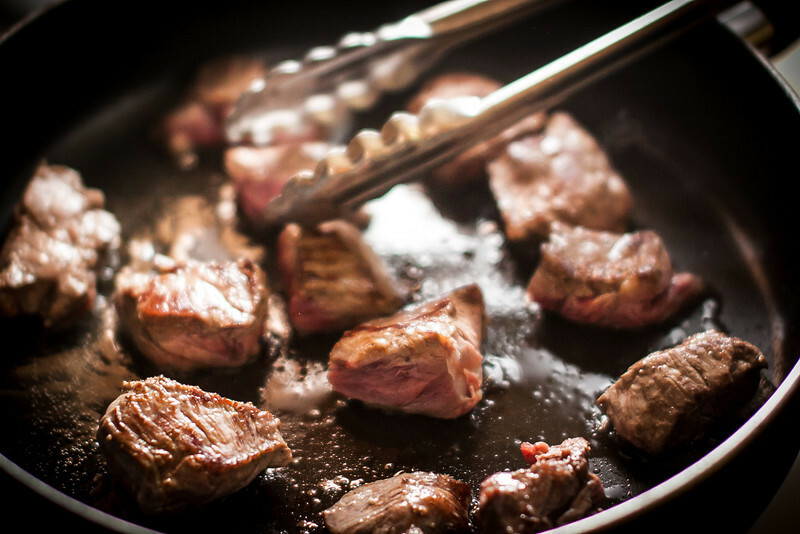 It's ok if a little bit burns on the bottom of the pan, because the next step is to add the balsamic vinegar, and the rest of the beef broth to deglaze the pan, and scrape up all of those delicious meat bits that were stuck to the pan. 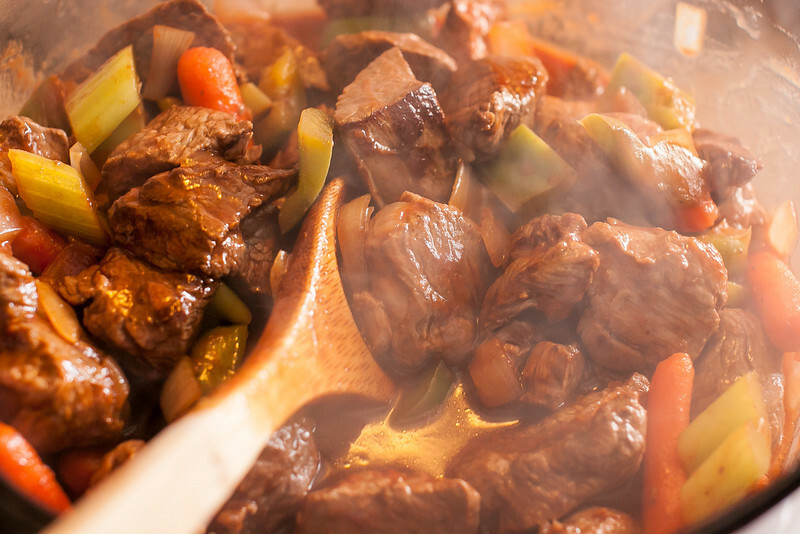 Finally, add your vegetable mixture into the pot with the beef cubes and add water to cover everything. 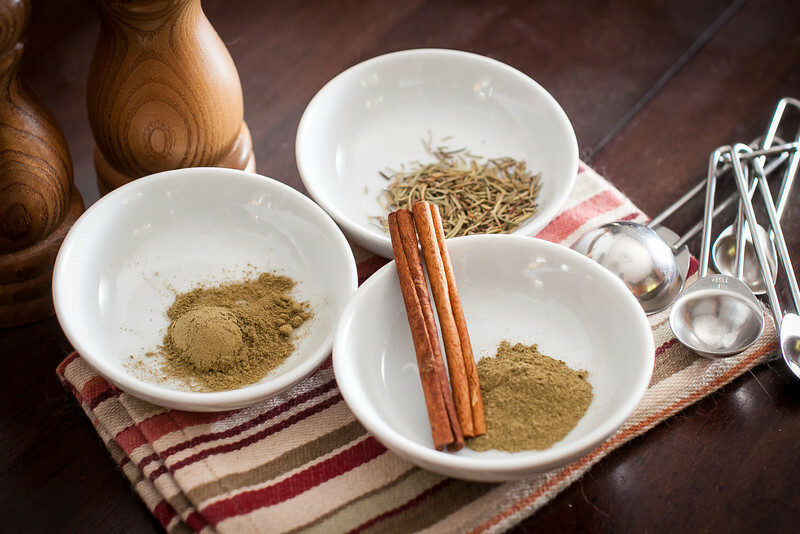 Throw in the spices you've prepped earlier, and let the aroma of the cinnamon take over your house. That's my favorite part of this recipe. 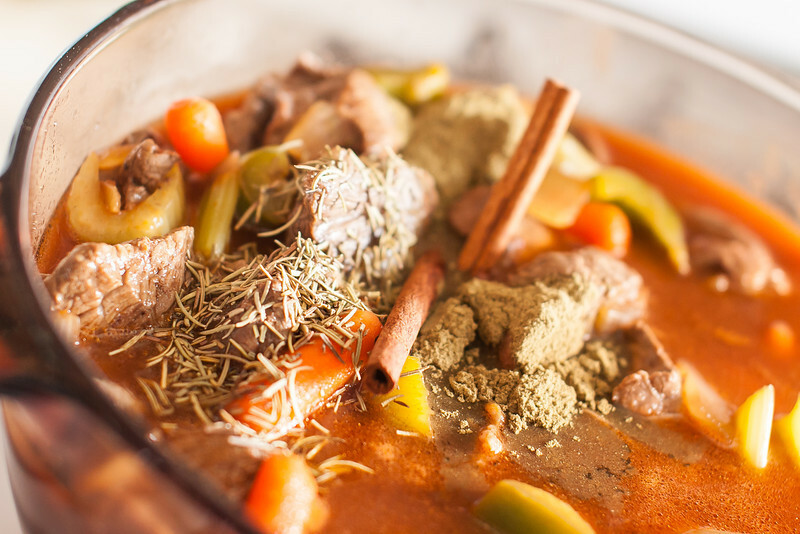 Let the stew simmer for at least 90 mins. You may need to add water to keep everything covered. 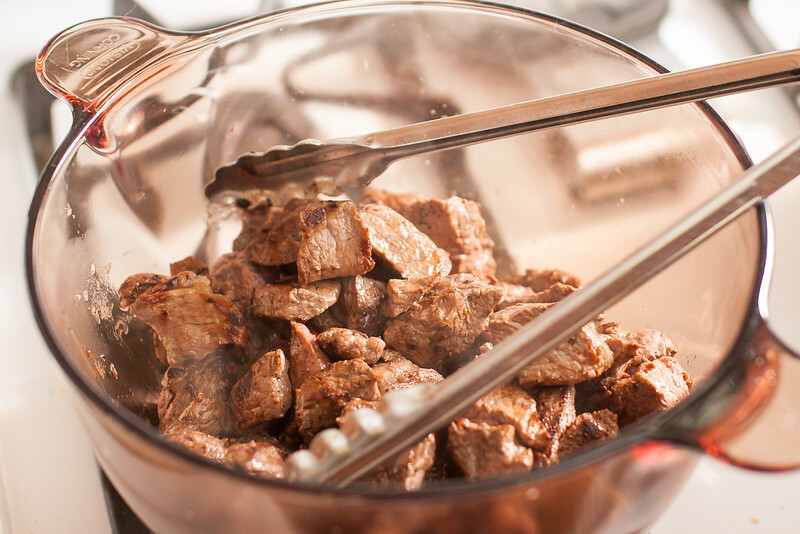 If your meat seems like it needs another 30 mins before it starts to fall apart, you've hit the spot for the next step. After 90 minutes of simmering, add your diced sweet potato to the pot. Simmer for an additional 30 mins. 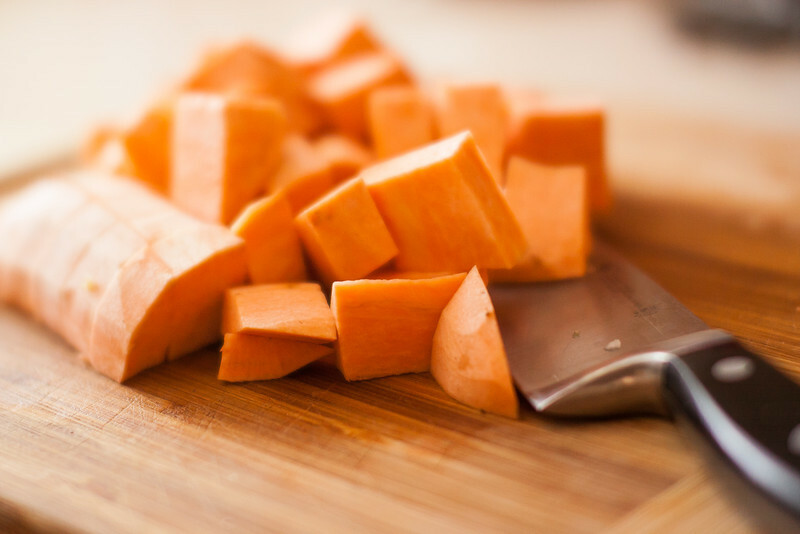 Don't let your sweet potatoes disintegrate, as they tend to do after long amounts of simmering.